Al Cass oil has been an enduring favorite of brass players for decades. Al Cass oil is a combination valve, slide and key oil designed for long lasting lubrication. 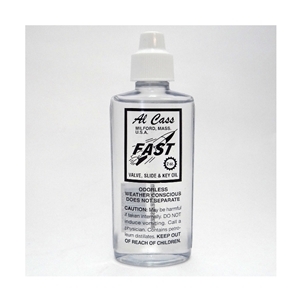 Al Cass is a petroleum-based oil and is available in a 2-ounce bottle.